For a time I was a fan of Jane's Addiction (everyone was doing it), but that "Been Caught Stealin'" song was really one of their least interesting off of their break-out album Ritual de lo Habitual. I was partial though to the prior album Nothing's Shocking and particularly amazed at the song "Pigs in Zen." I'll be honest that every time a politician opens their mouths I'm more than a little afraid. When our talking heads and national "leaders" can speak about fully half of our population as parasites then I think we ought to brace ourselves for the coming horrors. I don't believe we can "take back" public education; it was "sold" 30 years ago (as my friend Lawrence Baines makes clear in his books time and again). Let's just say that as an institution it has been "spread" wide and has really done the work that has lead us to this point. We have sacrificed all vitality for obedience and passivity in the face of the robotic future. That future is not utopia for the lowly animals whose only "value" is as labor. That includes teachers (at long last they have come for you, teachers--you must have known it was coming). Below I'll offer something I posted much earlier in the year at the Errant as it seems the drive to a progressive acceptance of a eugenics philosophy seems to be bringing our oligarchical tribes to a commonality. What follows was a reading and response to a post by Walmart Scholar Jay P. Greene--a Freidmaniac and Market Proselytizer who is "endowed" to spread Ed Reform in our bastions os Higher Learning--his is U of Arkansas Bentonvil...er, Fayetteville. "Jay Greene and Roland Fryer–Clearing a Path for “Liberal” Eugenics"
First, Jay Greene makes 150k per annum from WalMart graft through his assignment as the Chief for Change in the Educational Propaganda Department at the University of Arkansas at Fayetteville; likely he gets “scholarships” and speaking fees and free vacations from any number of ALEC-related, Jeb Bush “emceed” events; but, because this is not enough, his blog is now subsidized by advertising. Of course, that’s not a surprise, a shill is a shill is a shill and, truth be told, any master is the right master–the master of the moment with their 30 shekels--and as long as their is an "aegis" to be under. Okay, I’ve expressed my utter disdain enough for now, besides what can one do against one of the many James Harthouses (Dickens character in Hard Times)that scum up the drain? I can’t hate him out of a job or out of the national character for, be assured, his is a very national character. All I can do is say, look!, listen!, and hope you see how I see, hear how I hear. I hate to do it, but I have to excerpt what he has written today as it probably offers the most clear example of barely disguised motivation that Harthouses ever show. It comes very near to being honest about the intentions of the sycophants and their masters. So, let’s be off. Be warned I will reproduce most of the post because I find it so revealing. My comments below are interspersed between quoted sections. Let’s begin with the beginning: the title of the piece, “Are Charter Schools Models of Reform for Traditional Public Schools?“ Of course Jay will answer yes through some mouthpiece “study results” but think about the question as an honest one. 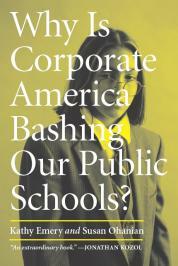 Do public schools do a good or bad job at their core mission? Of course, “core mission” is often a contentious thing and I would argue that schools do a very good job at the task for which they were designed: housing children for 13+ years and instilling the “way” of society as it functions “in the moment.” This means simply replicating all of our social structures–respect for authority (especially gunslingers and business owners–as they own the property the police protect), continuing prejudices against the poor and minorities, indoctrination in “competitive” success, the veracity (as backed by scripture) of Western morality and “progress,” and so on. Jay though is asking if there are charter schools out there who know how to create good test takers and if so, what model do they use. But under this, always under this, is the real point: If we can make “test taking” the only measure of success we do not need to value teachers in the least and we do not need to value the very idea of education, especially the idea that public education purports to be a kind of egalitarian, socialist institution. Two birds with one stone–1. No idea of commonwealth at the level of, well, the commons (Jay makes this explicit though in a condescending aside) and 2. 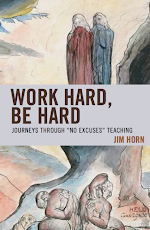 No more labor costs by reducing teaching to “labor” on a par with “tutor.” As an example an Indiana school district has recently used a budget referendum bait and switch to hire myriad “interventionists” and “preventionists” (or, tutors and aides--warm bodies, poorly paid). In other words, Sal Khan’s “Khan Academy” (whose glorious wonderful amazing online tutorials are being used in my kids’ school via our lovely shiny iPads) will simply replace teachers. Come on, you know it’s going to happen. Kahn will be Time’s “Man of the Year” soon, mark my words (ed. "most influential person"), he of the true entrepreneurial spirit! Don’t believe me? Check out the love for him at the NewSchools Venture Fund’s “Summit.” That’s the horrible Joel Klein on stage with him. Spend some time reviewing the sponsors of this gathering why don’t you? Yes, answers Roland Fryer in an amazing study released this month [pdf]. 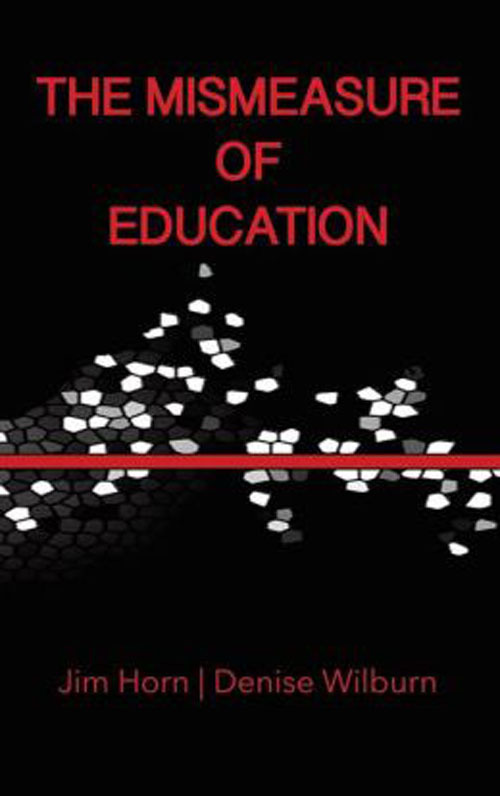 Based on earlier work [pdf], he identified 5 features of charter schools that helped them produce strong results: “increased time, better human capital, more student-level differentiation, frequent use of data to inform instruction, and a culture of high expectations.” Fryer then somehow convinced the superintendent and school board in Houston to pursue these five reforms in a serious way in 9 struggling traditional public schools. Fryer is an economist who directs Harvard's EdLabs...I doubt he had much trouble convincing anyone of anything when it was likely paid for by the Gates Foundation, or the Broad Foundation, or the Ford Foundation, or the Stearns Foundation--need I go on? Further here are the "stakeholders" of EdLabs that Roland Fryer shills for and upon whose orders he experiments with children's lives: Condoleeza Rice, Eli and Edythe Broad, Joel Klein (that nasty man is everywhere implicated in these hate-crimes), and, ta da, Michelle Rhee. You've got to be kidding, right? To increase time on task, the school day was lengthened one hour and the school year was lengthened ten days. This amounts to 21 percent more school than students in these schools obtained in the year pre-treatment and roughly the same as successful charter schools in New York City. In addition, students were strongly encouraged and even incentivized to attend classes on Saturday. In an effort to significantly alter the human capital in the nine schools, 100 percent of principals, 30 percent of other administrators, and 52 percent of teachers were removed and replaced with individuals who possessed the values and beliefs consistent with an achievement-driven mantra and, wherever possible, a demonstrated record of achievement. Out with the OLD in with the Indoctrinated Foot Soldiers of Reform--I love that though, "values and beliefs (yikes) consistent with an achievement-driven mantra..." Oh to be young again! To enhance student-level differentiation, we supplied all sixth and ninth graders with a math tutor in a two-on-one setting and provided an extra dose of reading or math instruction to students in other grades who had previously performed below grade level. Spoiler Alert: THIS, this right here, is the only thing that matters in teaching and learning in this whole pile of horse manure. Two-on-one instruction. First Lesson-more attention, oddly for these robot-loving minds, it's human attention, is a key to learning retention. I'd hazard a guess it has something to do with working with a supportive person to achieve a stated common goal. Hmm...strange how that works. This model was adapted from the MATCH school in Boston – a charter school that largely adheres to the methods described in Dobbie and Fryer (2011b). In order to help teachers use interim data on student performance to guide and inform instructional practice, we required schools to administer interim assessments every three to four weeks and provided schools with three cumulative benchmarks assessments, as well as assistance in analyzing and presenting student performance on these assessments. Finally, to instill a culture of high expectations and college access for all students, we started by setting clear expectations for school leadership. Finally, to be sure these soon-to-be job-seekers wouldn't go out and seek a job as these are non-existent we propagandized the non-value that is 4 more years in a system designed to keep you off the streets and keep money flowing to itself and its masters. "Learning" you see, is not cheap, and the more we can keep you in prison, er, school, the more we continue to get paid! Schools were provided with a rubric for the school and classroom environment and were expected to implement school-parent-student contracts. Specific student performance goals were set for each school and the principal was held accountable for these goals. First, never play the "stats" game with these guys--it's totally useless as the whole of this venture is to manipulate the results so that the programs move forward. What works in the pharmaceutical industry will work in education too, right Mitch Eli Lilly Daniels? In the grade/subject areas in which we implemented all five policies described in Dobbie and Fryer (2011b) – sixth and ninth grade math – the increase in student achievement is dramatic. Relative to students who attended comparison schools, sixth grade math scores increased 0.484σ (.097) in one year. In seventh and eighth grades, the treatment effect in math is 0.125σ (.065) and is statistically significant. A very similar pattern emerges in high school math: large effects in ninth grade and a more modest but statistically significant effect in tenth and eleventh grade, which suggest that two-on-one tutoring is particularly effective. Oh my lands!, as my Great Grandma Ollie might have exclaimed. The results in reading exhibit a different pattern. 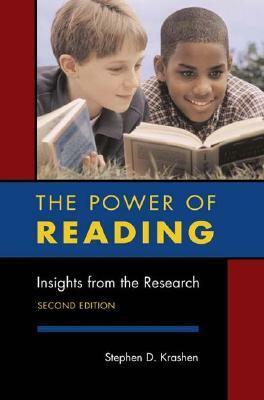 If anything, the reading scores demonstrate a slight decrease in middle school, though not statistically significant, and a modest increase in high school. Impacts on attendance – which are positive and statistically insignificant – are difficult to interpret given the longer school day and longer school year. Difficulty to interpret, not enough binary code, not enough equating and summing...Hey, folks, reading well requires agility of mind and an openness to ambiguity and interpretations often at cross-purposes. In other words, reading, language, is what makes us the beings we are. This is the very real and very hard work of thinking. But is also the very real and very important work of the Imagination (the Fancy, Mr. Gradgrind; Love, Mr. Harthouse); the quality of mind that one uses in empathy, a word little known and a faculty little exercised and a quality little prized in the world of Josiah Bounderby of Coketown, ma'am. Using data from the National Student Clearinghouse, we investigate treatment effects on two college outcomes: whether a student enrolled in any college (extensive margin) and whether they chose a four-year college, conditional on enrolling in any college (intensive margin). Calculated at the mean, students are 6.2 percentage points less likely to attend college, though the effect is not statistically significant. Conditional on attending college, however, treatment students are 17.7 percentage points more likely to enroll in a four-year institution, relative to a mean of 46% in comparison schools – a 40% increase. Did you totally zone out there? Me too. But I wanted to show the level of pure "statistical" hogwash that passes for "research" and "results." Traditional public schools can get results like a KIPP school without having to actually become KIPP schools. They just have to imitate a few of the key features employed by KIPP and other successful charter schools. This is incredibly encouraging news. It means that traditional public schools are really capable of making significant progress if only they become more open to learning from successful charter schools. They can make that progress without having to cure poverty and all other social ills (although I’m sure that would be nice too). What was the one item of testable success detailed above? Math scores in the two grades wherein the students were given extra instruction with tutors. Unleash the dogs of revolution! Traditional schools, can you handle that alteration? Well, no, actually, because Jay and his buddies (like Mitch and Tony in Indiana) have cut all your budgets in order to instigate a testing program that will create massive failures. BUT the good news is, after you fail, Traditional Schools, and the state has fired all of your “human capital” and replaced them with Teach for American drones they will pay nothing, you will succeed at tutoring the children in math! But once the dust settles–we will have begun down the path that is the logic of eugenics…oh my friends, it is upon us again. All paeans to progress lead us to one fact–some folks just aren’t good for much. Absolutely nothing…well, except War, ‘cuz somebody needs to die in war right? If you don’t believe me, just take a glance at some recent work in academia. Here’s a book that actually defends the concept of eugenics–but the good kind. One assumes if an academic philosopher is staking out territory against “state” eugenics then we are already well down the rabbit hole (note this title was published 8 years ago). I am not exaggerating in the least. What does rigid adherence to “measurable standards” ultimately lead? All the talk of Finland’s success comes down to this–low poverty and all the same kind of people. Well, I know a good way to start making that happen. Did you know, incidentally, that the state leading the way in Education Reform, Indiana, was the first state to pass Sterilization Laws in 1907? Fun fact. It stuns me to think these people exist and that they really put such "programmatic" planning on paper, in public, on a pretty website, with their names on it, and their holy institutions of hierarchy in boldface. Hurray, Harvard, leader in legitimizing Eugenics!